This cute, colorful collection is for the girl at heart. 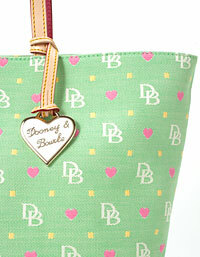 It's the perfect, playful combination of hearts and DBs. Shown in Green accented w/ ivory-hot pint-yellow.